Flying Lessons: Why Two Different Approaches to Two Crash Landings? Why Two Different Approaches to Two Crash Landings? Considering the startling similarities between the crash of Asiana Flight 214 in San Francisco on July 6 and Southwest Airlines Flight 345 in New York on July 22, and what they could be telling us about pilot techniques globally, am I the only one wondering why information about the two investigations is being handled so very differently? 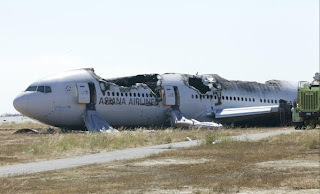 After the Asiana Boeing 777 struck its tail on the sea wall boundary, spun up on one side and skidded to a stop killing a total of 3 passengers, NTSB chairman Deborah Hersman spent nearly a week issuing daily updates on the scene in San Francisco. For this, the telegenic representative of the federal investigators was criticized by the Koreans and the Air Line Pilots Association for revealing too much, too soon. Perhaps that explains the reticence in discussing what is being learned about the very similar crash landing of the Southwest Boeing 737-700 last Monday. The NTSB released its most recent statement five days ago. In an email today, NTSB spokeswoman Kelly Nantel told me "We aren't planning any update at this point," even though relevant portions of the cockpit voice recorder were said to have been reviewed by investigators last Friday. The questions the board felt were important to answer in the Asiana event are equally significant when a plane carrying 150 people makes landing so uncommon in commercial aviation, I can find nothing similar in the safety board's database going back 23 years. Flight 345 went from 2 degrees nose up to three degrees nose down in 4 seconds touching down and placing the entire 128,000 pound weight of the airplane on the nose gear. Since the gear is designed primarily to provide directional control for the airplane, not for absorbing the impact of the landing, the gear strut stabbed through the underside of the airplane. For an "oh-my-gosh" moment, see the gear penetrating the electrical and equipment bay in the photo below taken by the NTSB. How the plane arriving from Nashville, wound up in that odd configuration moments before landing has been baffling many of the experienced airline pilots who so generously share their insight with me. One theorized that with the Boeing 737's fast landing speeds the pilots may have changed the flap configuration in an attempt to slow down the approach but over corrected the resultant nose up attitude. A former 737 pilot suggested the pitching nose down may not have occurred until the pilot throttled back. "The pitching moment is more accentuated with flaps 40, that would cause that kind of pitch moment," he told me. "If you had a stabilized approach but pulled power off at flaps 40 and did not make any correction the nose would pitch forward. 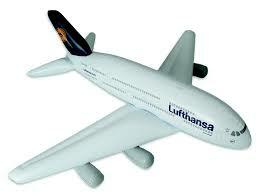 If you hand fly the airplane you have to manage that." Another 737 captain was confounded beyond explanation. "I don't know what happened. I don't know what they were thinking or trying to do," he told me. The Asiana approach may have been unstabilized - in conflict with ICAO standards and the standard operating procedures of many airlines. As to the Southwest flight, spokeswoman Whitney Eichinger opined in an interview with Newsday that the landing did not appear to be in accordance "with our operating procedures". As I reported for the APEX Editors blog, disregarding calls to go-around when an approach is not stable is beyond epidemic, it is "a new normal", according to Martin Smith, a psychologist and human factors expert with Presage Group in Toronto. Smith may be a researcher, but this information is not just academic. Non stabilized approaches are the number one contributing factor to runway excursions and runway excursions are responsible for one third of all aviation accidents according to statistics compiled by the Flight Safety Foundation. Thanks to the NTSB, the Asiana accident has made public the question, "Is pilot training keeping up with an increasingly technological cockpit?" Due to its inexplicable silence, it is difficult to know what the board is doing in its examination of the Southwest event but examining whether pilots are heeding procedures that require a plane to be ready to land before they put it on the ground ought to be part of the investigation into both accidents. I don't think you mean "cartwheeled" (end over end) -- the B-777 pivoted and spun about its axis. Good rest of the post, though! Christine, you are right on the mark. But to take it a step further, let's bring in Air France 447, and several other recent accidents involving pilot issues with what the airplane is doing. The common problem with many of these, involving highly automated aircraft's...basic airmanship. Stick and rudder 101. When all else fails, fly the damn airplane. Perhaps we need to go back to the days of a 3 person cockpit due to the added demands of the ever increasing amount of human/technology interface decisions required by increasingly computerised and complex aircraft. Anonymous #1 you are correct; I was imprecise in my description of the Asiana 214 event and have since corrected it. Thank you for your input. Why hasn't the NTSB released the same information regarding the Southwest accident? Well, you've got a great whipping-boy in a foreign carrier, with a pilot that has 'only 43 hours' on type. And the NTSB can be seen to be getting to the 'facts' quickly. I think they're a bit more reluctant to do the same to a US carrier. Wow, I just realized something I didn't before; I thought the Southwest was having nose gear problems before it landed, as in, wasn't locked etc. but now you're saying the guy landed on the runway WITH THE NOSEGEAR FIRST? Has the world gone mad? I think some kind of miasma has overtaken the entire world transpiration network . . . some kind of twilight world in which high-speed train operators are being called and distracted by their bosses just before a dangerous turn . . . bus crashes, head-on train crashes -- all within the last couple of months. Could it be a large amount of complacency setting into the operator community, as in, "Nothing bad will happen, so I'm not too worried about anything." Maybe we should remove the technologies and force these people to use their brains. And I'm flying China Airlines from Osaka to New York on Saturday . . . wish me luck. That would not be "transpiration." That would be my spell-checker gone mad. I saw a DC-8 cargo jet land nose-wheel first at MSY in the 1980s. It was almost level at touchdown (odd enough) but there was definitely a puff of touchdown smoke from nose gear an instant before the mains hit. It rolled out and went off to whatever parking area so I don't know if there was any aircraft damage. Was the SW a 737-700? or a -800? News reports said 153 SOB. Unless SW recently increased seating density on a -700, they hold 137 people plus 5 crew, plus maybe 2 jumpseaters = 144 SOB. I could understand this landing more if it were a -800. A Delta FO friend of mine said the -800 is very hard to land. I confirm that since as a pax on Delta from ATL to Bermuda in late Jan. this year, we "crashed" onto the runway. Hardest airline landing I ever experienced, and I am 72 years old. It was a 737-800. 1. There appears to be only one over-wing exit, so it's not an -800. 2. The Delta F/O may simply be showing his "newness". An airplane is just an airplane, IMO. 3. The difference between this investigation and others is that Southwest is involved. directed away from the aircraft by uniformed personnel. 2. It's difficult to say if the overwing exit was open in the original photo but it's obviously open in the later photo. Had it been open during the evacuation, the extended spoilers would have hindered, or at least made more unsafe, the overwing evacuation.